One of the things I greatly admire is the ability of Newbury award-winning author Margarita Engle of creating an immersive experience in her books. She does this in a variety of ways. First she not only creates characters that we attach to immediately but somehow identify with even if we’ve never met such a person before in our lives. Inside Margaria Engle’s stories you will always meet a wide array of characters that you wouldn’t usually see together such as a slave, a Swedish suffragette in her book The Firefly Letters. To deepen the experience even further, she writes using language in a most unique way, free verse. The Wild Book is such a treasure of a story. Margarita Engle shocks us by making us look at how language is being used and conveyed. For the brave who embrace this style of story telling, you will not be sorry nor will you turn back. For little Fefa, life in the Cuban countryside is not as free and exciting as one might think. When Fefa is diagnosed with word blindness, known today as dyslexia, by an uncaring doctor, she is distraught. In school, people make fun of her. At home, her siblings make fun of her. She is an outcast, and she is embarrassing. To Fefa, words are slippery, elusive creatures that cause frustration to the point of tears. She tries so hard to hold on to them, but no matter her efforts, they manage to escape her grasp. Reading out loud is her biggest fear. If people make fun of her not being able to read silently, what will they do if she tries to read to a crowd? It’s a horrifying nightmare. However, world-blindness is not the only trouble that Fefa and her family struggle with. When Fefa’s parents were just married, the country was in a time of turmoil, and they were imprisoned in a camp. For a time, the country has been safe. But a new trouble is bubbling: bandits stealing children for ransom money. Since Fefa’s family is wealthy, and the bandits would have a lot of children to choose from, the family is very afraid that one of their children will be targeted. Also, the land around her family home is quite dangerous. One day, her oldest brother decides that he is going to take down a crocodile that has been threatening their home. He is confident that he can beat this beast; unfortunately, he’s not as capable as he thinks he is. The crocodile wounds him in such a way that farm work is no longer an option for his future. After struggling over his injury, he decides to become a teacher. And his first pupil? Who better than his own sister, Fefa! As with all her books, I loved this one. I loved it so much I couldn’t keep it a secret and so I shared it with crafting buddy and emerging author Hannah Rials. Hannah joins us today with some great extension activities to bring The Wild Book alive and let you explore the wonders of Fefa’s world. I was a little taken aback by the poetry format of The Wild Book; however, after only a few pages, I was hooked. The language that Margarita Engle chooses to use for Fefa is absolutely beautiful and captivating. Her descriptions are unique, phrases that I’ve never heard of. This story also does a wonderful job of tastefully writing about a young girl struggling with Dyslexia. She does nothing to degrade the struggle, but almost makes it beautiful. She gives Fefa hope, even when the girl is struggling. Fefa can help children with Dyslexia to understand that they are not alone, and they are not a problem. Dyslexia is not impossible, it is just a hindrance that can be overcome. 1. Make your own chapbook to put your own poems, thoughts, and dreams in. Here’s a great tutorial at English Drawings. 2. 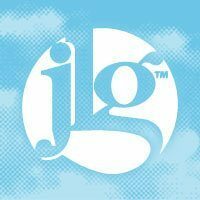 Here is a link to a list of apps that are helpful for students with dyslexia. 3. Fefa’s mom’s favorite place was the beach, where they only visited once a year. And what do you do at the beach? Collect seashells! Here’s a cool new activity from Rainy Day Mum if you have too many seashells to know what to do with. 4. Cuba-The culture of Cuba is rich in just about everything. To learn more about the beautiful country National Geographic Kids has done a great job. Here some fun crafts, this Cuban Today Bird craft is perfect for kids as well as this Sugar Cube necklace (Sugar is the principal economy in Cuba!). There is nothing better than music and Cuba has a reach history of music. Here are some Cuban Children’s Songs to have you singing and playing away. For the older kids and adults enjoy some of these great classic Cuban songs. This sounds like a great book. Thanks for the recommendation, and for sharing at the #LearningKid linkup. 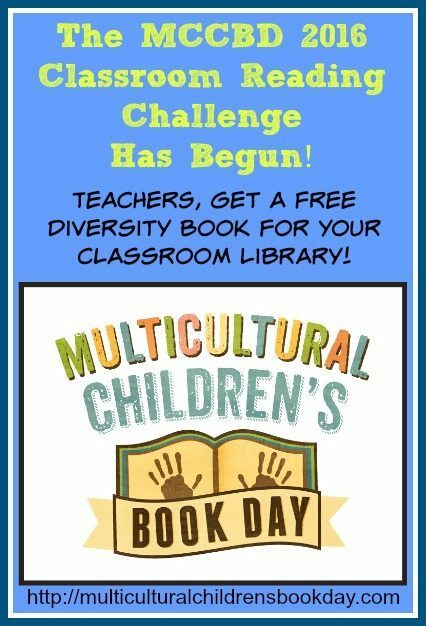 Thanks for participating in the Multicultural Children’s Book Day! Thank you for participating in MCCBD. It is so wonderful to have you !! Every book from Margarita Engle is a delight. Both the theme and writing are always perfect. Also since the books are fairly short, they are excellent for reluctant readers who will love the poetic way the author tells the stories. She is one of my favorite authors. She has this magical way of mixing prose and poetry with unique and diverse characters in interesting storylines. Truly a talent. Thanks for stopping by Evelyne ! !